Cheeca Lodge & Spa is committed to providing outstanding service to any and all guests by being ADA-compliant for our guests convenience. Should you have difficulty using or accessing any section of our website, please contact us immediately at ADA@Cheeca.com. Aside from working with you to ensure you are provided with the information and assistance you need, we're committed to ensuring that each feature on our site is accessible for everyone and will take the appropriate steps to address any short-comings. It is our goal to ensure that we are providing a seamless experience for everyone - on our website and at our resort. We aim to ensure that everyone is able to access all areas of our website and resort. Cheeca Lodge & Spa sources TravelClick's iHotelier booking engine for digital room reservation transactions. We are proud to partner with TravelClick as they have also committed to digital accessibility and have taken steps to be compliant with the current standards. 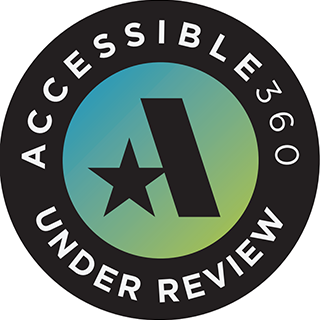 As of November 2017, iHotelier booking engine 4.0 and Area Search can be accessed and used by "JAWS", the most popular screen reader used by those who are visually impaired. TravelClick is in the process of remediating it's iHotelier booking engine 4.0 and Area Search to comply with the WCAG standards. It is expected that by the end of second quarter 2018, iHotelier booking engine 4.0 and Area Search will comply with WCAG level AA. Cheeca Lodge & Spa has contracted a reputable Digital Accessibility Agency who fully audits our site using live testers and assist us in implementing the necessary changes to make our site accessible to everyone including anyone using a screen reader, magnifier, voice recognition software, captions, alternative text and other assistive devices. We are working diligently to make these updates in a timely fashion and will continuously audit and update our site. If you are having any difficulty accessing or using any section of our website, please contact us immediately at ADA@cheeca.com. Please contact us at ADA@cheeca.com if you have any feedback or suggestions on our we can improve the accessibility of our website. Please contact our reservations team by email or by phone at 800-327-2888 for more information on how to reserve an accessible room. Service animals must be with guest at all times and demonstrate good behavior - excessive barking or being aggressive towards other guests may lead to being asked to leave property. Should the service animal destroy or soil guestroom or property, a cleaning or replacement fee may be charged. Emotional support animals are not trained to perform any specific task and may be treated as pets under our "Pups in Paradise" program. We welcome dogs under 70 lbs in our Golf View Rooms and Suites which are based upon availability. A $70 per night pet fee applies. Guests who arrive with an Emotional Support Animal must already have a reservation in a Golf View Room or Suite. We cannot guarantee accommodation otherwise.